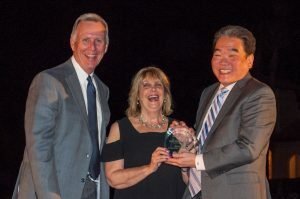 DENVER, Co. (April 26, 2017) – The Mountain West Credit Union Association presented its annual credit union Professional and Volunteer of the Year awards at a special dinner April 13 at The Fairmont Scottsdale Princess Resort in Scottsdale, AZ. 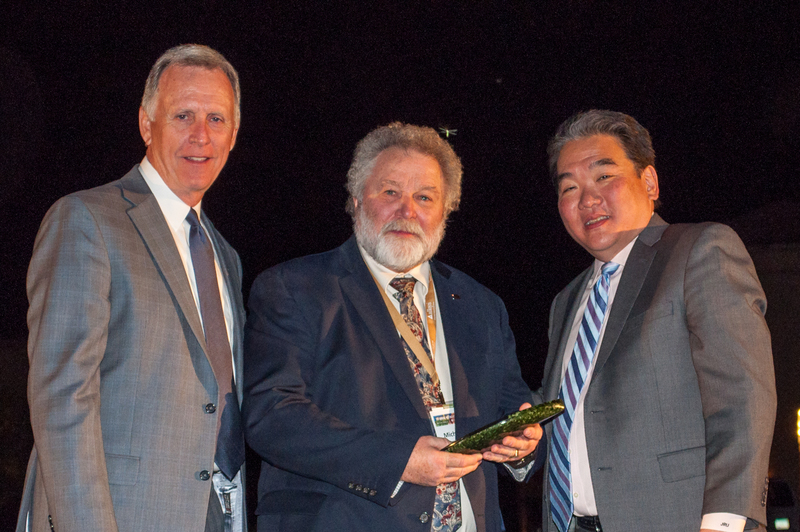 The awards dinner was held during the Mountain West Credit Union Association’s 6th Annual Meeting & Convention. Each year, the Association solicits nominations to determine the Professional and Volunteer of the Year. The Association also gave out the 2nd HOPE Award. HOPE stands for “Helping People Every Day.” HOPE nominees were recognized throughout the year either at their credit union, a Chapter event or within their state. She began working at her credit union as a teller thirty-six years ago and was tapped to be the CEO eight years later after serving in various roles in the credit union. Since then, she has taken it from a $50 million credit union to $175 million and led it through several major economic disruptions and forced relocations. She leads by example and serves on numerous Boards and committees both in the credit union movement and her community. Recently, her credit union completed the process to receive Juntos Avanzamos certification, one of only three in the state. Juntos Avanzamos is a distinction given to given to credit unions that demonstrate a vision and commitment to serving the Hispanic community by providing education and services that improve financial well-being. Michael A.K. 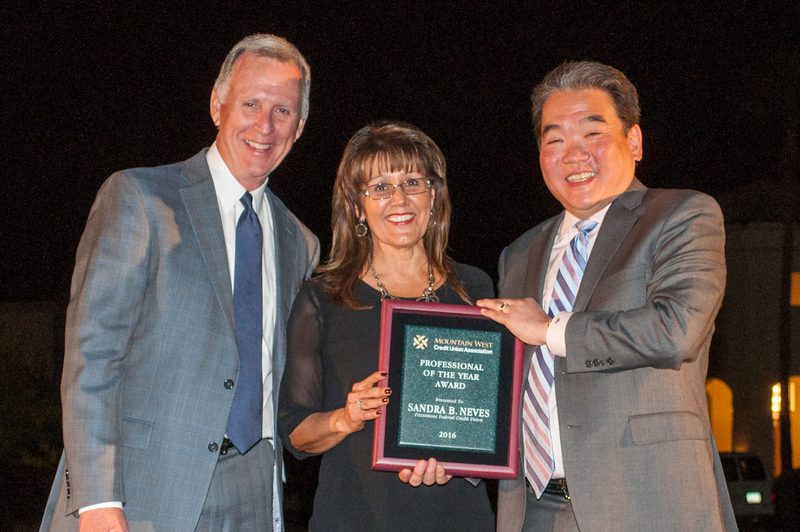 Fansler, chairman of the board, Aventa Credit Union (Colorado Springs, CO) was named the Volunteer of the Year. He has been active in the credit union movement for fifty-one years. He has served in every capacity imaginable, from driving a float in the local parade to participating in Hike the Hill visits in Washington, D.C. He has served the credit union movement at every level, local chapter, state and in national government affairs. In large part to his leadership, the credit union has grown in assets from $500k to $175M. Rosemary Sprenger, from Banner Federal Credit Union in Phoenix, AZ was named the recipient of the HOPE Award. Sprenger’s kindness and generosity that goes above and beyond her job description played out in the life of a member who lost everything in a house fire. The distraught member came in seeking help to get documentation for her account. But when Sprenger heard the story, she went into action. She led an initiative to help provide basic necessities and household items for the member that made a difficult time a bit easier. In addition to the awards banquet, Association and Mountain West Credit Union Foundation Board seats were officially filled during pre-convention meetings. The Association Board filled seats, two by acclamation and one by nomination. The two positions filled by acclamation were: Colleen Curtis, Southwest Healthcare Credit Union, Phoenix, AZ, was re-elected for a three-year term for Arizona and Steve Higginson, Reliant Federal Credit Union, Casper, WY, was re-elected for a three-year term for Wyoming. In Colorado, by nomination, John Faries, Columbine Federal Credit Union, Centennial, CO, was elected for a three-year term in at-large. The Mountain West Credit Union Association is the regional tri-state trade association representing 124 member credit unions, 3.2 million credit union members and $38 billion in assets throughout Arizona, Colorado and Wyoming. Not-for-profit in nature, credit unions provide low-cost financial services to their members. Founded in 2011, the Mountain West Credit Union Association serves and supports the interests of member credit unions through advocacy, community outreach, education and training, public affairs, regulatory and compliance services and strategic partnerships. The Mountain West Credit Union Association is affiliated with Credit Union National Association (CUNA), World Council of Credit Unions (WOCCU) and CUNA Mutual Group. Follow us on twitter at twitter.com/mwcua or on Facebook at facebook.com/mwcua. To learn more about credit unions visit AsmarterChoice.org.